We’ve compiled a list of DIY natural cleaning products that are environmentally friendly and also very cheap – you’ve probably already got these products somewhere in your house! It can be difficult to find natural cleaning products that work. But from our research, these all-purpose natural cleaning products provide fantastic results without producing potent chemicals and pungent smells – perfect for everyday cleaning tasks! Removing smells: A cup of vinegar added to washing up water will get rid of those sometimes hard to shift smells in Tupperware. You can also add a 1/2-teaspoon vinegar to a 4-ounce spray bottle and then fill it with distilled water and add a few drops of your favourite oil. If you spray this on your carpet or your furniture, then it will get rid of smells. Softer washing: When you add vinegar to your washing it works as a softener, leaving your towels lovely and fluffy! Cleaner windows: For sparkling clean windows, try mixing equal parts white distilled vinegar with warm water, apply with a cloth and remove with a dry cloth or newspaper. General all-purpose: A mix of one part vinegar to one part water will create an all-purpose natural cleaner for around the home. Whilst it is not a recognised ‘disinfectant’, and therefore will not kill some of the more dangerous bacteria, it is strong enough for a lot of jobs! Wooden countertops: All you need to do here is spray vinegar onto the countertop surface and then it away with a wet, warm rag. However, cleaning granite or marble countertops should be avoided. 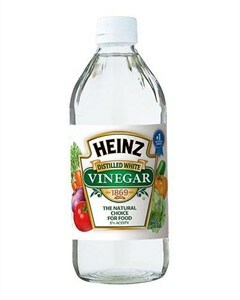 Cutting boards: You can clean your chopping board simply by spraying vinegar, and then rinsing it off. Plastic containers: Coat a dirty plastic container in vinegar and then leave it to sit for a while, then wash with vinegar. Not only are lemons great for cooking with, but they also have natural, mild disinfectant qualities, which can be very handy when using as a natural cleaning product. 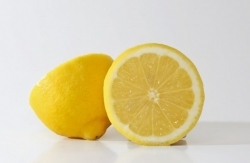 Microwave: One of the simplest and easiest ways to clean and remove smells from your microwave uses a lemon! Simply squeeze the juice out of 1 lemon into some water in a microwavable bowl and then place in the microwave until the water starts to boil and create steam – about 3 minutes. Leave the door closed for 5 minutes to let the steam soften any baked on splatterings and then wipe away the (hopefully less encrusted) dirt with a cloth – easy! Brighter whites: To keep your whites nice and bright, try adding 1/2 cup of lemon juice in with the wash. Wooden chopping boards: All you need to keep your wooden chopping board clean is salt and half a lemon, and it doesn’t even matter if it’s already been used! Bathroom cleaner: Remove soap scum and limescale by mixing one part lemon juice with two parts bicarbonate of soda – apply the paste to the areas affected and then wipe clean after about 10 minutes! Deodorising: Keep half a lemon in the fridge to maintain freshness and try bringing a saucepan of water and some lemon slices to the boil – a natural deodoriser for the whole kitchen! Copper saucepan polisher: No matter how tarnished your copper saucepan, scrubbing it with a lemon should make it sparkly and clean again. Clean the blender: If your blender suffers from a build-up of food, just blend a lemon with a little dishwashing soap and water to get it clean again. Stuck on food on dishes: If you’ve got some food stuck on a dish, then grab a juiced lemon and rub a little coarse salt, then get scrubbing – the food should come off relatively easily. Freshen your laundry: Add a teaspoon of lemon juice to your washing load, along with detergent to combat bad odours. Deodorising carpets and fabric: Simply sprinkle bicarbonate of soda onto the area and leave for as long as you can – overnight if possible, then vacuum off. Keeping drains de-clogged: Pour about 30g bicarb down the plughole and rinse through with hot water. Done weekly this can help to prevent blocked drains. Stain removal: If you like a nice cup of strong tea, but your mugs are looking a little worse for wear with the staining it causes – simply take a damp cloth, some bicarbonate of soda and a touch of elbow grease, and you’ll be amazed by the results! Clean your floors: To brighten a dull floor finish, dissolve 100g bicarb in a bucket of warm water. Mop and rinse for a shiny floor. Clean your rugs and carpets: Freshen up rugs by sprinkling bicarb on the carpet, wait at least 15 minutes (preferably overnight), then hoover. 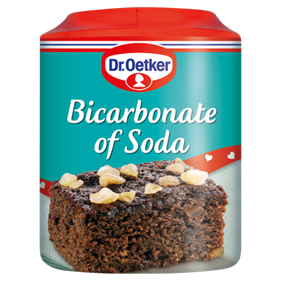 Microwave: Another alternative to cleaning your microwave is with bicarbonate of soda. 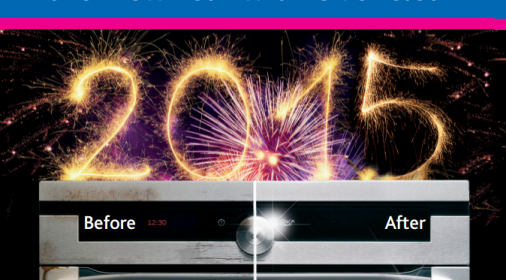 Simply add the soda on a clean, damp sponge and gently clean the inside and outside of the microwave. Then rinse well with water. 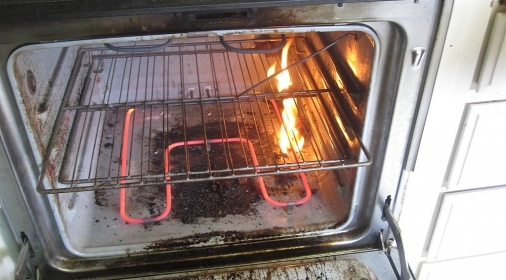 Grill: Keep your barbecue grill clean by adding some soda to a damp brush, then scrub the grate and rinse. Why not try these DIY cleaning products for yourself? These all-purpose cleaners will work wonders for your kitchen and the rest of your home! But if you would rather a professional company do the hard work of cleaning your kitchen for you, then you can request your free estimate with Ovenclean today.